Just print the template out and have the kids cut each picture out. Have them cut a circle out of the paper plate to make the wreath. 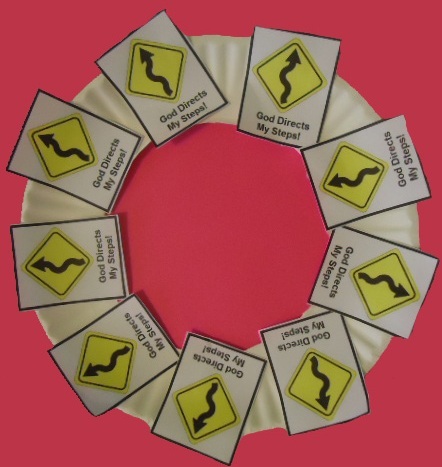 Then have the kids tape or glue the pictures around the paper plate to make the Road Sign Wreath. 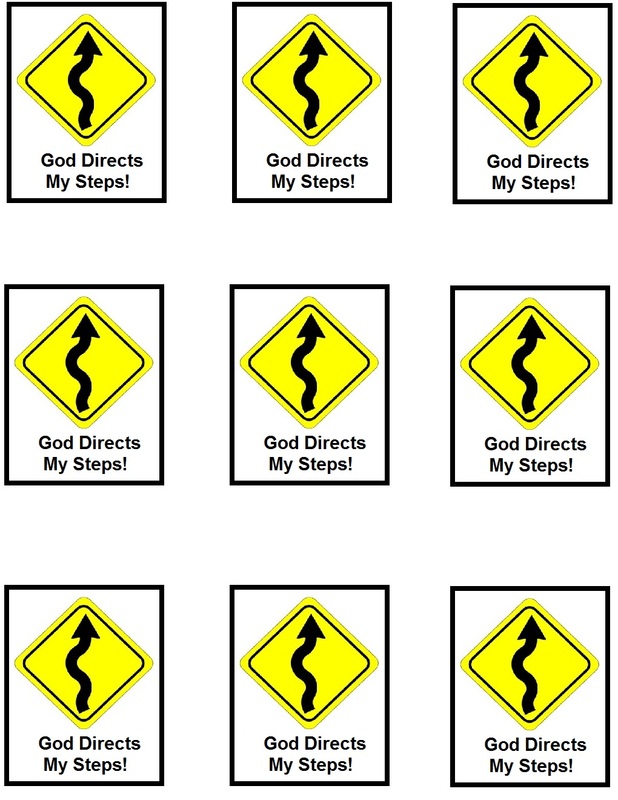 Make this Road Sign craft to go along with the "God's Road Sign Sunday School Lesson. Comes with a recipe, maze, coloring page, cupcake templates, clipart, award certificate and more.